Only three prospects heading into the 2019 Kentucky Derby – Maximum Security, Omaha Beach and Improbable – have registered Beyer Figures of 100 or higher, reigniting conversation about the importance of a triple-digit number heading into the first Saturday in May. Can bettors differentiate between that trio, and is emphasizing the 3-year-olds with 100-plus Beyers even still a relevant angle? Last month in the Florida Derby (G1), Maximum Security earned a 101, while Omaha Beach earned the same figure in Saturday's Arkansas Derby (G1). Improbable, second to Omaha Beach, registered a similar 100. On numbers alone, there is almost no difference between the top three Beyer Speed Figure earners, which will force handicappers to use other methods to compare them. Who better to help sort them out? “Of the top three figures, I’d be wary of Maximum Security because of his relative lack of experience (e.g. a single race around two turns) and an easy trip in his big win,” Andy Beyer, the system's creator, wrote in an email. Agreed. In the Florida Derby, Maximum Security received a huge break when Javier Castellano decided to rate Hidden Scroll rather than utilize his natural speed. Hidden Scroll's rating strategy gave Maximum Security a cozy lead. Bodexpress sat only half a length behind, but the two horses never met eye to eye. Maximum Security always held a comfortable advantage through fractions of 24.42, 48.98 and 1:12.90. He was more than happy to power home and win. Even though Bodexpress is a horse with a future, he is no speed demon. It is difficult to tell how Maximum Security will react to a real contested pace. Furthermore, Omaha Beach and Improbable, plus most other Derby contenders, raced around two turns multiple times and faced a variety of scenarios. In Maximum Security’s lone two-turn start, he was gifted a lead and won, leaving him still untested. 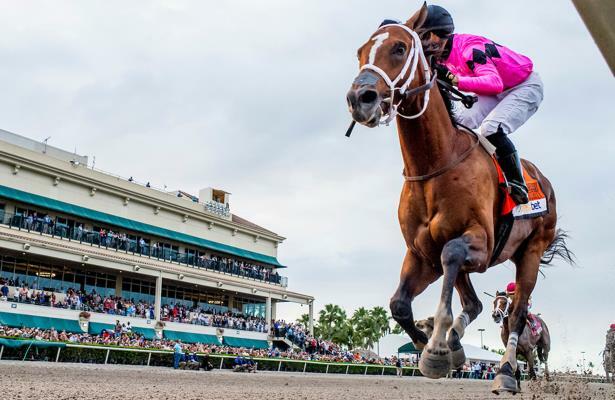 The easy Florida Derby trip does not disqualify Maximum Security from handling a more stressful one, but it is something for bettors to think about. Omaha Beach defeated Improbable by a small margin, but the latter had every chance to mow down the leader in the stretch. However, Beyer also downplayed the overall separation between the three triple-digit Beyer horses discussed above when compared to those just below 100. Beyer wrote that "there is a small gap between the favorites and some of the lesser lights -- such as By My Standards, who got a 97 in the Louisiana Derby. “I know we’re used to seeing favorites win the Derby in recent years, but it wouldn’t take too much improvement for a 30-to-1 shot to step up and run a 102 and win," he added. There are plenty of quality 3-year-olds in the mid to high 90s Beyer range pointing towards Derby. Aside from By My Standards, those names include Game Winner, Roadster, Tacitus, Code of Honor, Vekoma, Spinoff and more. In particular, Roadster has gained momentum lately with the public. Using the 100 Beyer mark as a cutoff point was a more usable angle for an older time, when the average winning Derby Beyer Speed Figure was five to 10 points higher. “It’s a little hard for me to get used to the idea that 100 is now a good figure for a Kentucky Derby candidate," Beyer said. "Such horses used to be throw-outs in previous decades when the average winning Derby figure was around 109." Only 14 years ago, Giacomo posted a 100 Beyer Speed Figure to win the 2005 Kentucky Derby, and everyone laughed at how slow he ran. Today, if the Derby winner posts a 100 Beyer, it's in line with what's normal. Last year, Justify earned a 103 when he won. In 2015, American Pharoah did not run a whole lot faster when he scored a 105 in his Kentucky Derby. Both of those eventual Triple Crown champions did earn 100-plus Beyer Figures in their final prep. But, in “normal” years, the standards are different. Before Nyquist took the 2016 Kentucky Derby with a 103 Beyer, he earned a lowly 94 when he won the Florida Derby. Along the same lines, before Always Dreaming captured the 2017 Kentucky Derby with a 102, he scored a 97 in his Florida Derby win. So why the focus on 100-plus? Of course, eliminating the 100 Beyer Speed Figure as a cutoff point creates a lot more work for the handicapper. It is a gift when a horse such as Justify comes into the Kentucky Derby with a massive (by today’s standards) 107 Beyer Speed Figure earned in his final prep race. 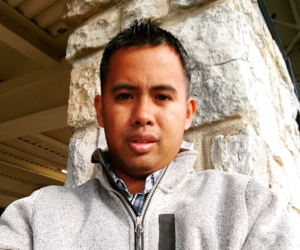 He used many examples to show handicapping's complexities. The common assumption is that Beyer only favors his high speed figure horses, but that is not true. For this competitive Kentucky Derby, finding a definitive winner in a 20-horse field filled with horses of similar talent will certainly prove a difficult challenge. Perhaps Maximum Security, Omaha Beach and Improbable are the best horses, but hopefully Beyer’s words encourage bettors to look beyond the three triple-digit Beyer Derby contenders for more thorough analysis.